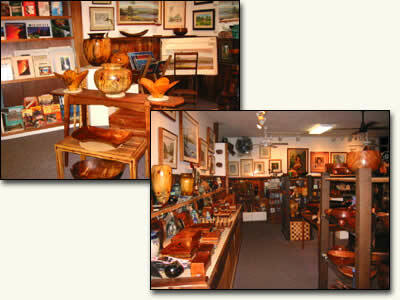 Our gallery has proudly represented Hawaii's artists for eighteen years. Exclusively featured are Koa heirloom bowls, furniture, raku, ceramics, handblown glass, jewelry, and a fantastic library. Local art is displayed in original and print form.